This slogan expresses the feeling of young people immediatedly after the publication of the results of the Brexit referendum. It is often used to mark the disappointment of young people on the heritage older generations transfer to future generations in the field of social protection and the lack of care they have put on ecology. Reasons enough for the ESU and the Robert Schuman Institute (RSI) to organize a seminar (Budapest, 24-25 April 2017) focused on this relation between generations and promoting political responsibility of youth and seniors. Since almost 30 years international and European frameworks highlighted the importantce of intergenerational solidarity. It is understood as ‚social cohesion between generations‘, as ‚inclusive society for all ages‘. It is a pillar of fair and sustainable societies, informal and formal welfare and it is an integral part of the European social model. 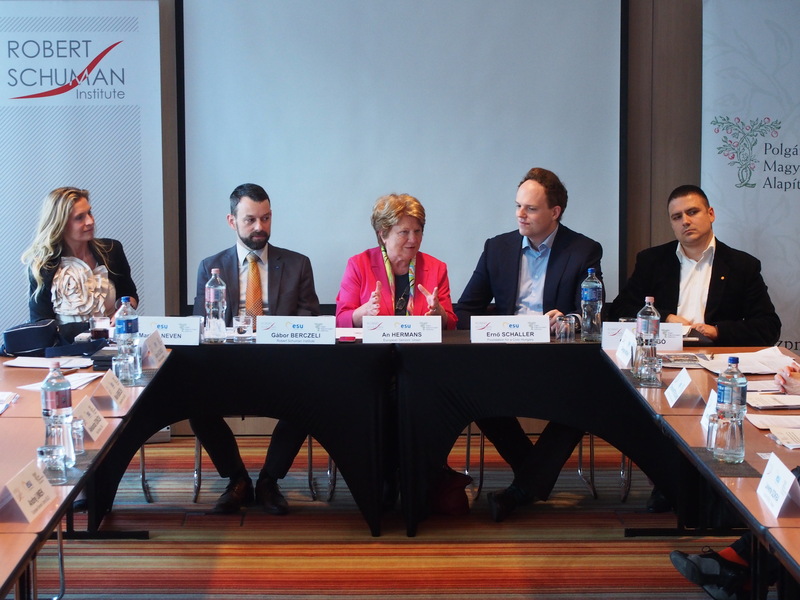 As a result of the seminar, the participants of the European Seniors’ Union call on the members of the European People’s Party (EPP) to intensify their actions to enable practical and mutual beneficial and satisfying relations between generations. They remind the members of the EPP at the EPP vision text adopted in Malta (29 March 2017) stating the need for an general European strategy on demographic change including the creation of new opportunities for intergenerational solidarity in different areas of policy.